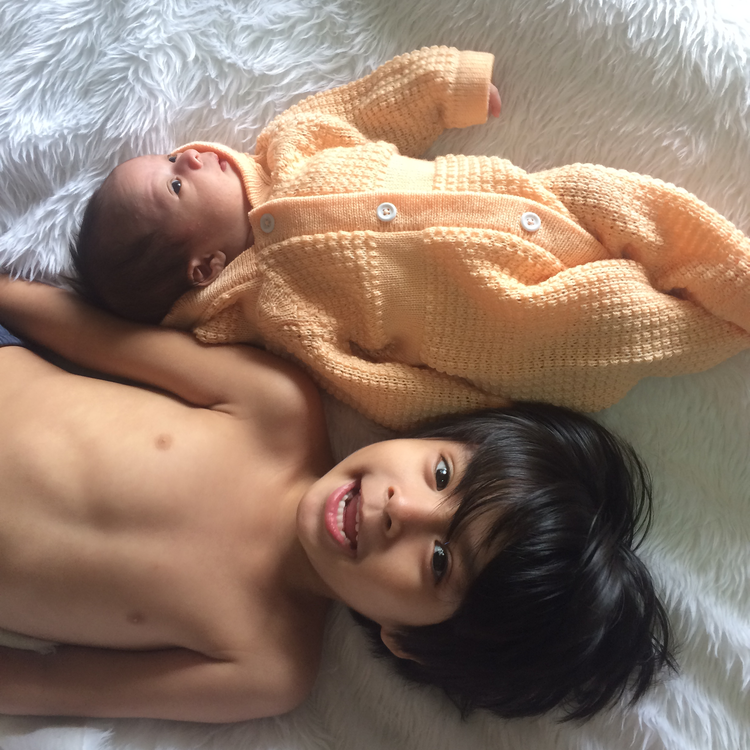 We’re almost back to regular programming now that we’re getting a hang of having a newborn – and that means we’re also back to going on family trips. We’re taking it slowly though since we have little Charlie so we started with a chill staycation not too far from home. 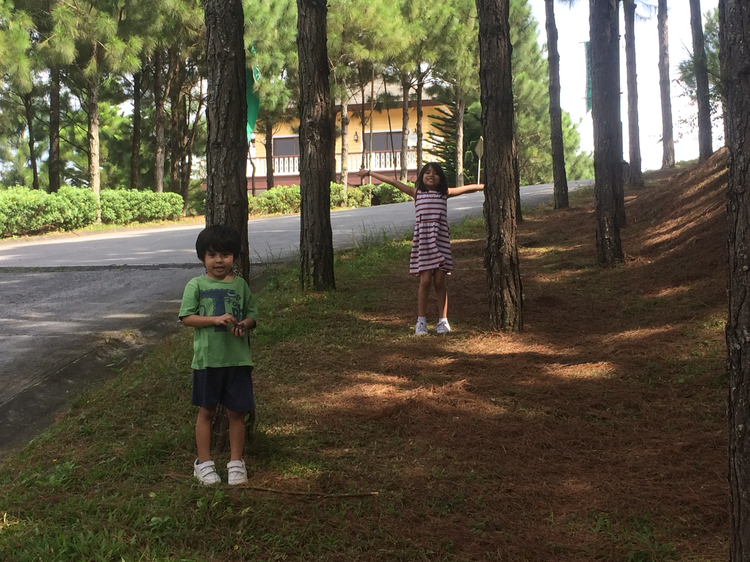 Tagaytay City is a favorite get away for many since it’s just a 2-hour drive from Manila. It’s chilly weather is a welcome treat especially during the colder months of the year, right before summer sets in. 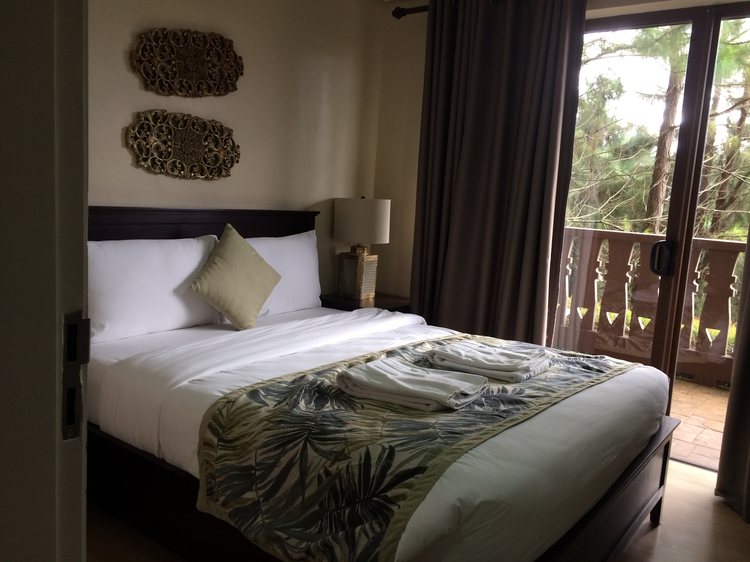 Perched on a hilly Swiss-inspired luxury community in Tagaytay is Crosswinds Resort Suites. 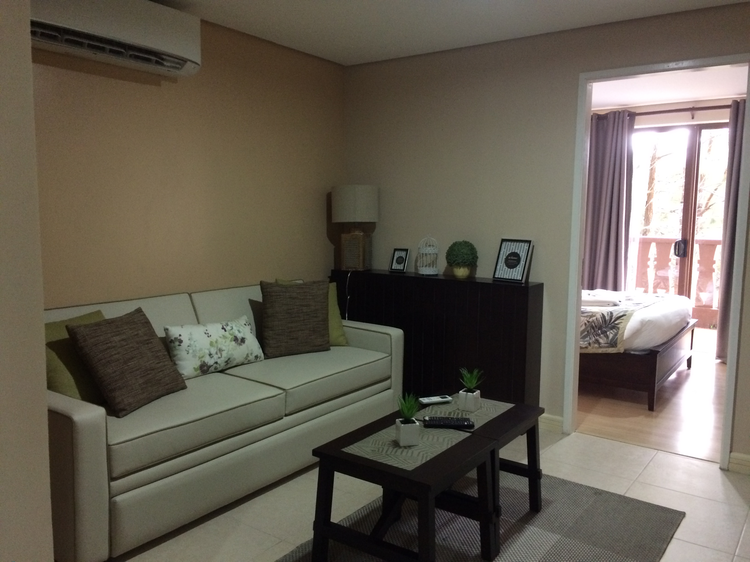 We initially thought that they only rent out houses here, but upon checking on the Traveloka app, we found out that they also rent out smaller units in their serviced residences. Yay! 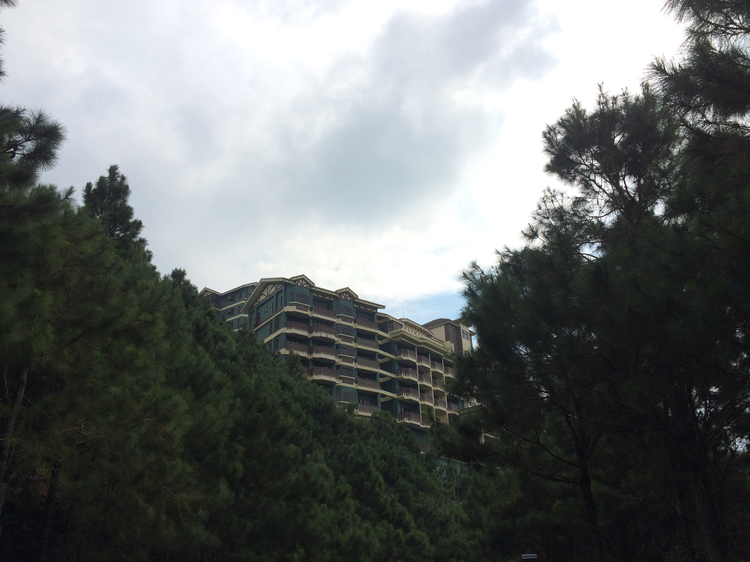 As soon as we arrived in Tagaytay, we went straight to Crosswinds Resort Suites. There was a line when we arrived, but the staff were quick to handle all the guests who are checking in. Despite the line, too, they were able to thoroughly explain what we can do within Crosswinds Resort and where to find it, as well as suggest food delivery options. Speaking of food delivery, there are no restaurants or in-room dining options at Crosswinds Resort. 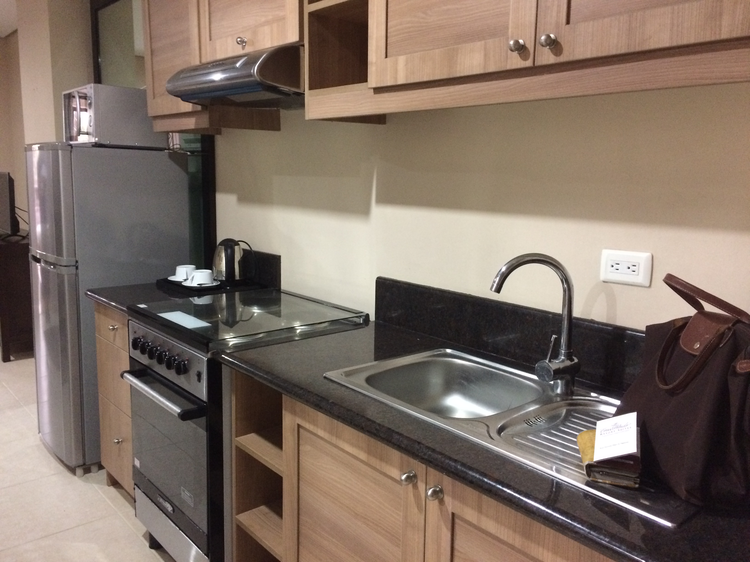 That is because each unit is already equipped with a kitchenette that you can use to cook your own food. They do, however, serve buffet breakfast. If you’re going to stay here, I suggest that you buy your groceries before heading to the resort so you don’t have to brave the heavy traffic in the busier area of Tagaytay to buy food. We didn’t bring food we can cook with us so we ended up having to drive to the town proper to have our meals, which is a bit of a hassle because of the distance of the hotel from the city proper and the weekend traffic. We got our family of five a Studio Queen room, which has a queen bed and living room with a pull-out sofa where our two bigger kids slept. 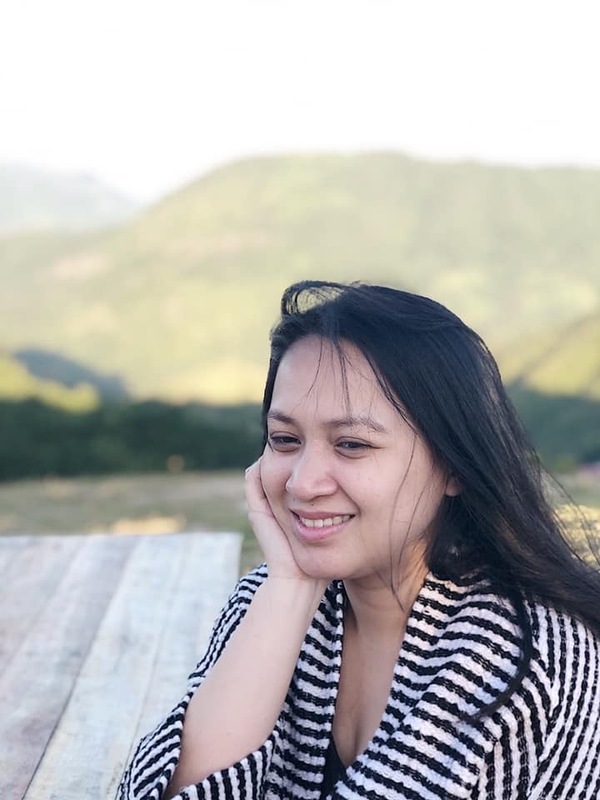 The room and the living room are both airconditioned, but the chilly weather of Tagaytay is already enough to keep us cool throughout our stay. The bathroom is okay as it comes with toiletries and a warm shower, but it could use an upgrade. The Crosswinds Resort is at the same price point of most of the hotels we stayed in before, but it doesn’t come with a bath tub and it’s a bit outdated. But anyway, we didn’t go there for the bathroom so we’re good! For digital mompreneurs like myself, you’d be happy to know that units are also equipped with free wi-fi! It’s not the fastest connection I’ve tried, but it’s good enough for checking e-mails and social media updates. What we really loved about our stay at Crosswinds Resort is the quiet alpine escape it provides its guests. The 100-acre property is surrounded by over 20,000 pine trees and colorful flowers–perfect for long walks. 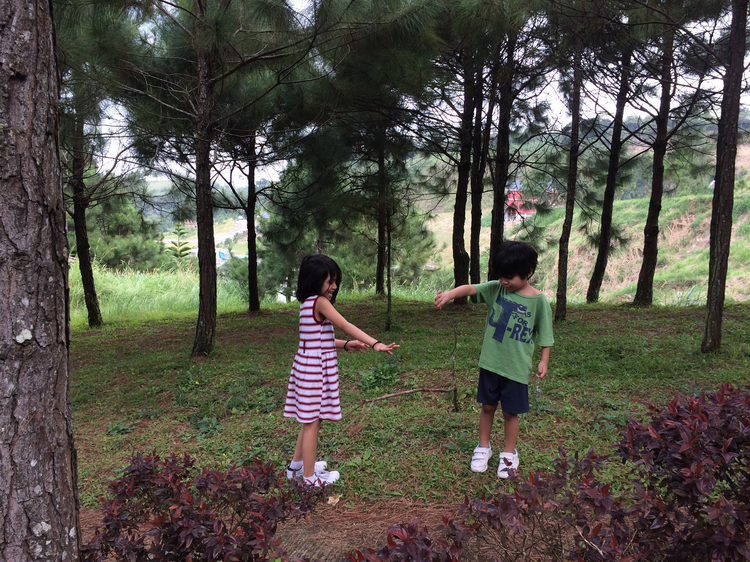 The wide open spaces also make for a great play area for kids who love to explore the great outdoors. 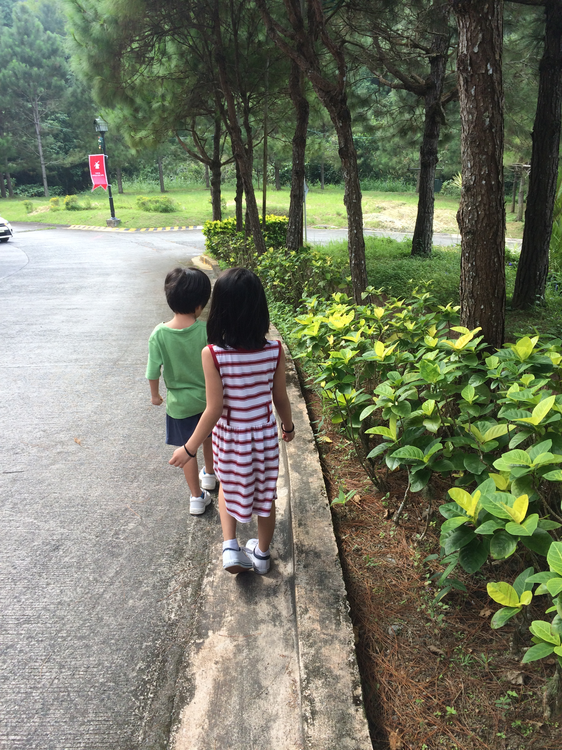 They have a pool area and playground, but we didn’t go there anymore since the minis were already satisfied just playing on the hilly parts of the resort. 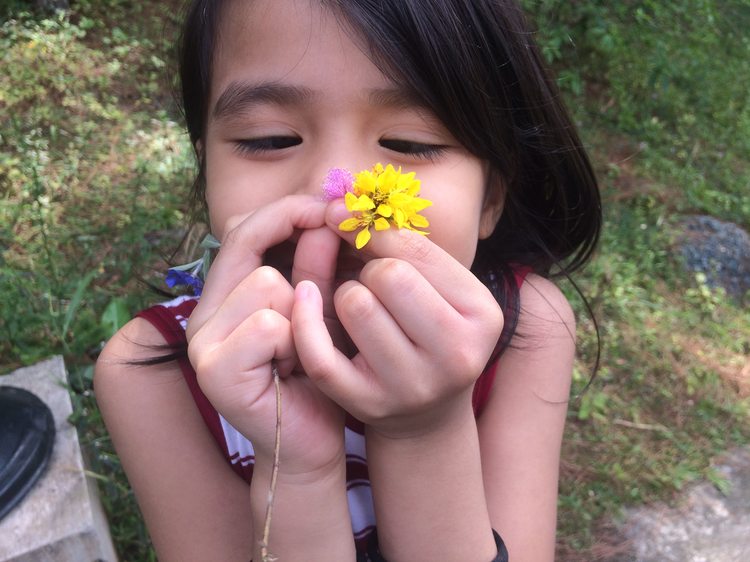 They were contented picking flowers, playing hide and seek behind the trees, and running after butterflies. The property is HUGE. The hotel has a scheduled shuttle service that will take you around the property, but you can also opt to walk just like what we did or bring your car. If you’re not in a hurry, I recommend that you walk it instead so you get to enjoy the views and really stop to smell the flowers! WHAT WE THINK: Crosswinds Resort is perfect for a quick weekend vacation for families with small children. The rooms are spacious and its a plus that guests can bring and cook their own food (without any corkage fee) so there’s no need to take the kids out of the resort to eat. That’s important for families traveling with small children like us because our minis tend to get grumpy when after a long day so it’s best to just stay in the hotel. 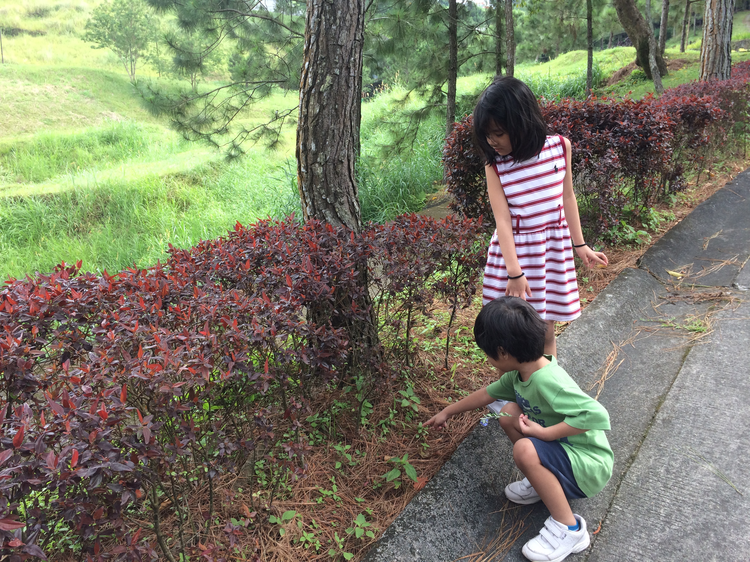 We also love that the hotel is surrounded by all things nature, which encouraged our kids to go out and play instead of just watch television or play with their gadgets. We only stayed here for a night, but our whole family agreed that a longer stay is better if you really want to disconnect and unwind. We will definitely be back here soon! May be more if you decide to visit other tourist attractions outside of the hotel. **By the way, if you happen to book a stay in December, make sure you don’t miss their Christmas Village. We haven’t tried it ourselves, but it looks like it’s a can’t miss if you’re in Tagaytay during the holidays! Make sure you book ahead though because I’m pretty sure Crosswinds Resort Suites will be booked fast around that time of the year. Charlie is so cute! 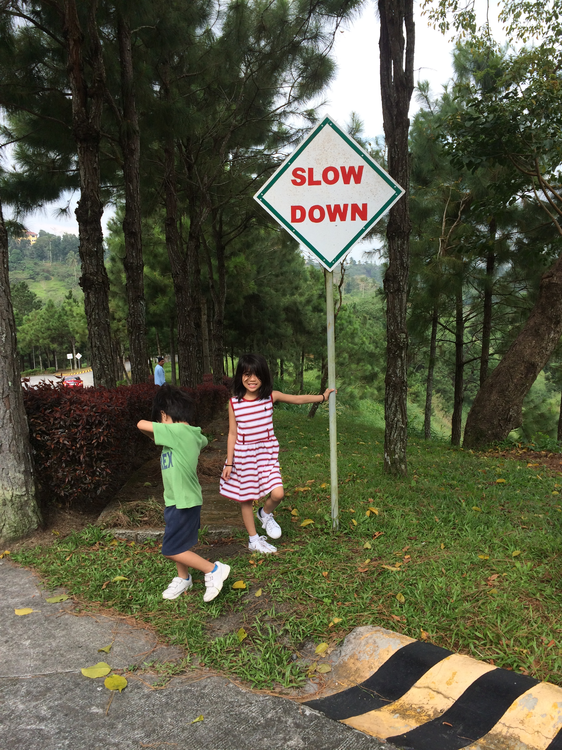 We were thinking of having a staycation at Crosswinds Resort Suites but we always think the road is way too steep so we end up making resrevations in a different place. Charlie is so cute!! 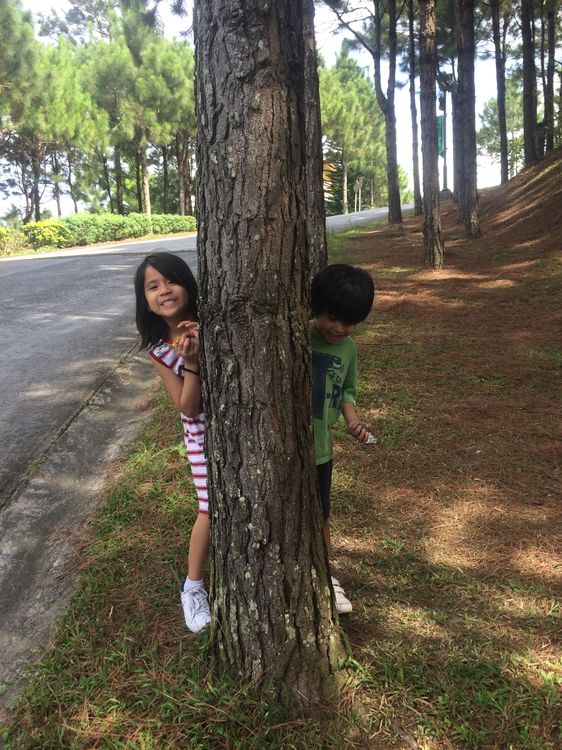 We were thinking of a staycation at Crosswinds Resort Suites but we were also thinking it’s way too steep so we always end up in other resorts. Ah yes! Weekend traffic is the worst there. Medyo malayo sa town proper yung Crosswinds so hindi traffic going there. But yes, bring groceries already para hindi na kayo pupunta sa town proper. Love the place, hopefully I will bring my family there soon. 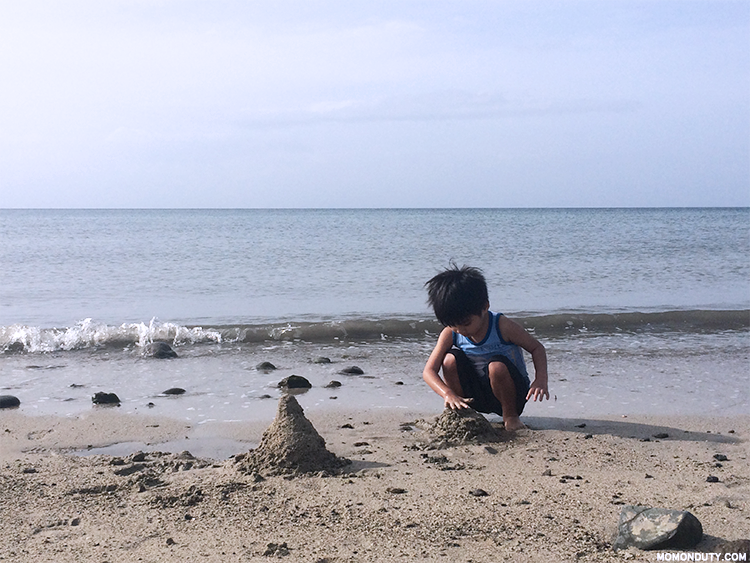 Just like what you said, I will let my kids enjoy the place without gadgets, for sure they’ll enjoy it. Thanks for the review. We’re staying away from malls eh. I feel like it’s easier to catch a virus in a closed space hehe. I’ve been considering Crosswinds in Tagaytay for a long time, but how about the drive to the hotel? Di ba masyadong steep? Wow, I think 5k is very reasonable for the place. I love that they have a wide playground for kids to enjoy. My kid will surely this place, he runs a lot kasi heheh. Thanks for sharing mommy! Our family loves nature too. Ok ito kasi pwedeng mag bring ng own food 🙂 (mas tipid hehe) Thanks for sharing mommy! Thanks for sharing! I am a big fan of accommodations with kitchenettes because having restaurants as the only option for meals is limiting. Love the landscape, too! We’re actually spend Christmas in Tagaytay this year because of a wedding my husband will be playing at. It’s a long way off but at least we can plan the trip. Hirap pag walang car. This place looks looks so serene, but 8,000 for a night is a bit steep. Parang nag-Taal Vista ka na rin. Love this review. Thanks for sharing! I’m actually looking for a place to book in Tagaytay this month (a surprise I wanna give to my hubby and son as a late Valentines gift) so I’ll consider going to this place. Congrats on your baby also! Hello to the little Mr. Charlie. He is so cute (pwera usog). Haven’t been there but you were able to describe the place in detail. Love that there is a kitchen for cooking. Good thing as well youve mentioned there is no restaurant for food. Love the most when youve mentioned you really will stop and smell the roses. 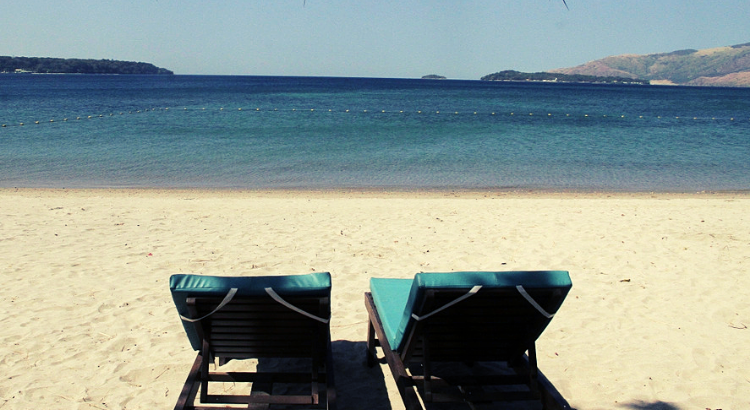 Sometimes, we really need to pause for a while. It’s super nice for kids noh? Sarap balikan!